The Hobbit: An Unexpected Journey Annual 2013, one of several film tie-in books scheduled for this year, released today, and our message board member Bexlin was awesome enough to share some hi-res scans of its full colour pages. Besides character pictures of the 13 dwarves, Gandalf, Elrond, and Galadriel, we also get our first look at Saruman the White, and a brilliant reveal of Lee Pace’s character Thranduil the Elvenking. 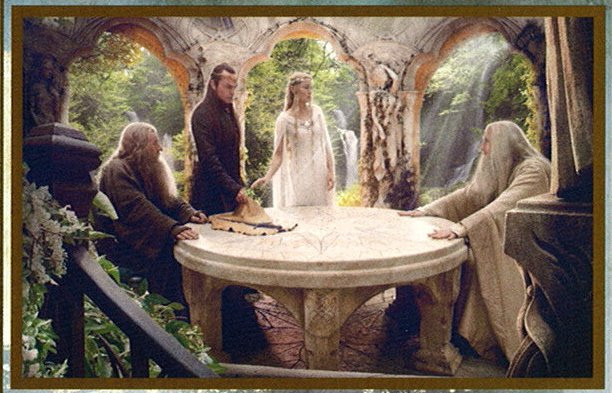 Here in the image upon the right sits Saruman with the rest of the White Council, seemingly in the much-talked-about scene of the discussion surrounding a certain Wraith’s blade. And as for Thranduil, the Elf gets his revel after the break. A fair warning to those who do not want to be spoiled… believe us, you do NOT want to click the “Continue Reading” button. “On his head was a crown of berries and red leaves, for the autumn was come again. In the spring he wore a crown of woodland flowers. Perhaps not exactly representative of Tolkien’s Thranduil based on his book description, but every bit Elvish and very wondrous nevertheless. 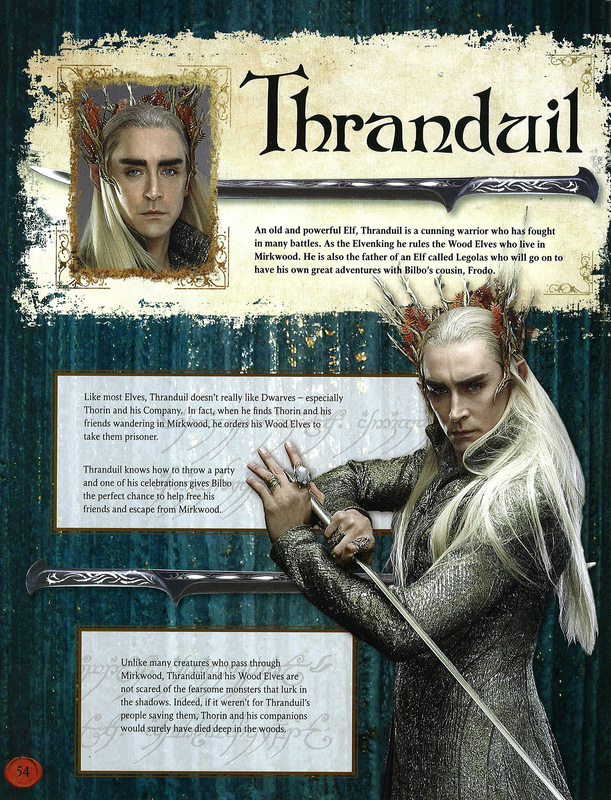 Our boards are of course discussing Thranduil’s costume, hair, eyebrows, sword, crown, and what have you. A check-in would be in order. Thanks once again to board member Bexlin for this reveal.